Patch 8.1.5 is well underway, which means our thoughts have turned to what’s happening next: patch 8.2, the Rise of Azshara. This is everything we know about the next big content patch. Though there’s no confirmed release date, we speculate that the patch will arrive on or around May 28 owing to a comment from Mother. In the quest line to increase the ilevel of your Heart of Azeroth, added in patch 8.1.5, she tells us that “comprehensive analysis will require approximately 77 cycles.” Most of us are taking this to mean 77 days from the date patch 8.1.5 dropped. Flying is coming and with it a bee and a mechanical parrot mount. We will be able to fly in Kul Tiras, Zandalar, and the two new zones coming, Nazjatar and Mechagon. The steps for Pathfinder Part 2 and obtaining the new mounts have not been released yet. Queen Azshara rules over the empire of Nazjatar, a new (and probably not underwater) zone. If you’ve been following the patch 8.1.5 story, you’ve noticed intermittent Naga incursions all over Kul Tiras and Zandalar — and it’s been hinted these attacks will come more and more frequently as the patch continues. During Battle for Azeroth, both the Horde and the Alliance have lost a lot of ships, which provides the Naga an excellent opportunity to strike at us. To combat the Naga threat, we go directly to Queen Azshara’s homeland. Nazjatar may have as many as five subzones — all with their own flavor — highlighting different aspect of Naga culture. There will also be Naga architecture —bioluminescent with abyssal influences — which we’ve not experienced before, so players thinking “another Vash’jr” should be surprised. A recruitment system akin to the Tillers of Halfhill in Mists of Pandaria, letting us befriend characters both old and new. Outdoor PVP objectives similar to the PVP towers around Auchindoun in The Burning Crusade, and perhaps a new free-for-all PvP event. An (unspecified) update to the World Quest system with quests that feel unique. This may mean group quests, multi-stage quests and special bosses. Rare-hunting, similar to the Timeless Isles. New mounts, including a seahorse and a crab. 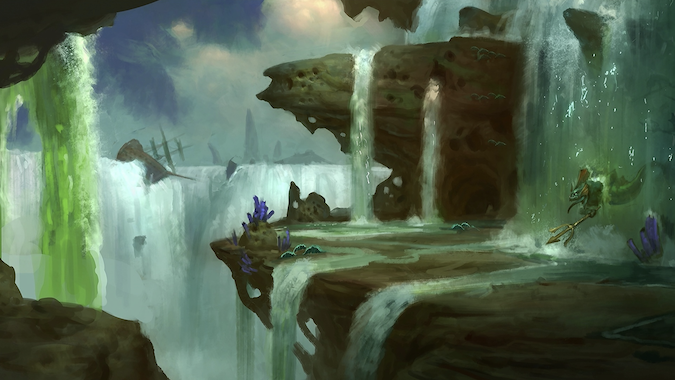 There aren’t a lot of us who loved the underwater questing of Vash’jr, but Nazjatar may not be another underwater zone. Current information emphasizes the “Rise” of Azshara which seems to mean we will be mostly on dry land with mechanisms for easily navigating both the wet and dry portions of the zone. 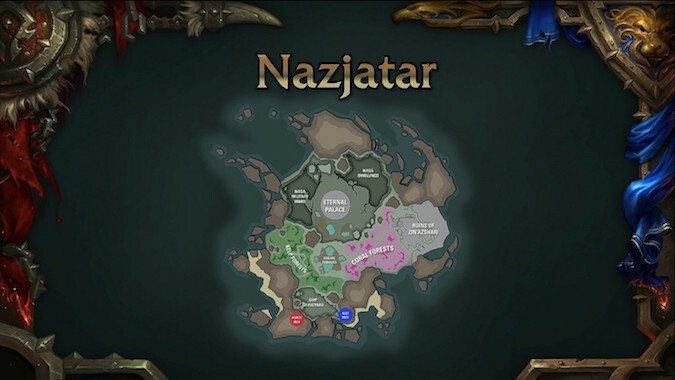 Nazjatar will also feature a raid: Azshara’s Eternal Palace. There will be eight bosses with Queen Azshara as the final boss. We don’t expect the raid to launch on patch day, but we speculate it will arrive mid-summer. Moving from the sea onto the land, Gnomes get major additions to their lore with the new Mechagon zone. Out in Tiragarde Sound, a solitary Gnome has you do a few quests in a junk pile. (This pile is guarded by a mechanical cat which I know a lot of Hunters tried to tame. You can’t and it’s deadly. Trust me on this.) Hidden inside this junk pile is a large gear which will be the entrance to Mechagon. 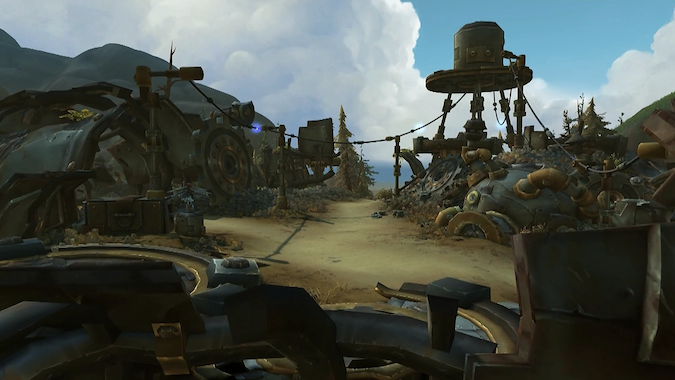 This area — ruled by King Mechagon — has a race of Junker Gnomes who have replaced body parts with mechanical items. And in Mechagon, the more mechanical parts you have, the higher your social standing. In this mechanical land, you’ll be able to turn crafting materials in to an NPC for rewards, which promises to have a lot of interesting items. Beyond exploring the Junker Wastes of Mechagon, there will be a “mega dungeon” with two wings, similar in structure to Karazhan. This Mythic-only dungeon will have eight bosses, culminating in a fight with King Mechagon. Blizzard promises all sorts of unique loot which will entice you to come back. Two new Island Expeditions: Crestfall and Snowblossom. Crestfall is inspired by a great battle from Warcraft II. 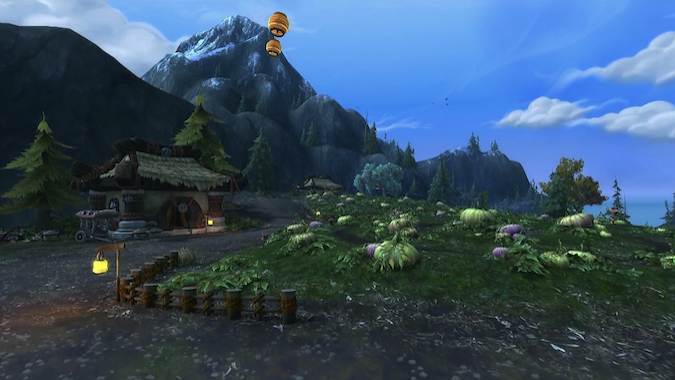 Snowblossom is inspired by Mists of Pandaria. Expect to see a return of everyone’s favorite vermin from the Valley of the Four Winds. Tauren and Gnomes will get the next sets of Heritage Armor. The story revolving around the Alliance and Horde leaders continues. Every leader — Anduin, Sylvanas, Saurfang, Jaina, and Magni — will have more added to their stories. Images from the patch show Sylvanas with the Blade of the Black Empire, the Shadow Priest Artifact weapon, which has stirred up a lot of speculation. Heroic Warfronts. With this version, you will be able to queue with nine or 19 of your friends. These will be more difficult than the standard Warfront. You can actually lose a Heroic Warfront, so this should up the strategic nature of Warfronts in general. Season three PVP will arrive, and it promises to be naga-themed. Our Heart of Azeroth will have different traits as we level it up. We’ll be able to use the Heart as we quest and its traits will change based on what we’re doing. Azerite requirements for unlocking traits will not increase and, when you get a new piece of gear, you’ll be able to unlock all the traits at once. All gear, except for pants, will be able to be hidden. A portal of Caverns of Time will be added in the portal rooms. And, if you’re ever sent to a new area where you have no flight paths, the user interface will provide directions to quests and flight points. 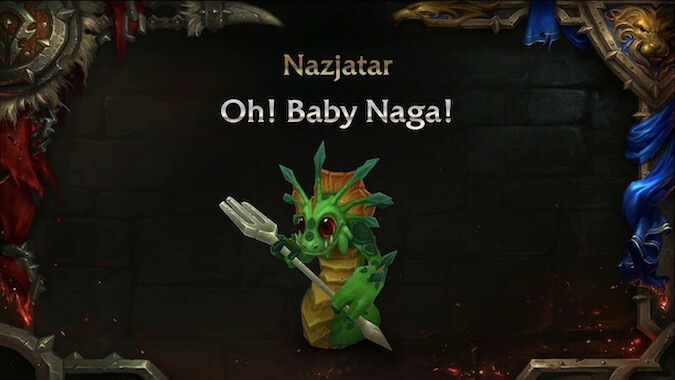 It sounds incredibly exciting — I still maintain the absolute best news about 8.2 is baby Naga Battle pet.